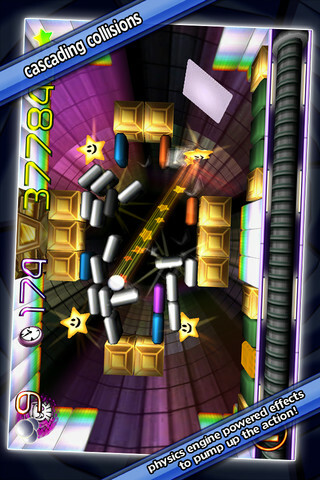 iPhone Game Review: Action Block Buster is a Blockbuster! 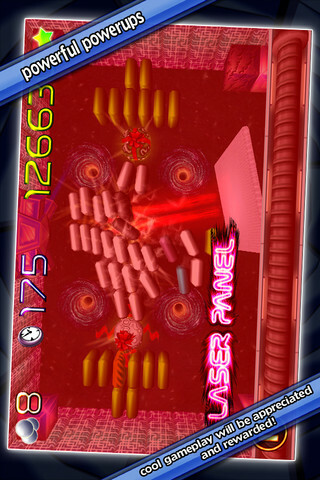 There’s something decidedly retro about the gameplay of Action Block Buster. 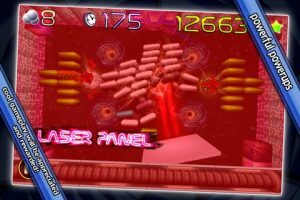 Though it was only just released last month, the visuals are reminiscent of old Sega and Nintendo consoles, while the game itself is rooted more deeply in classic arcade titles like Atari’s 1976 release Breakout or the game Arkanoid. 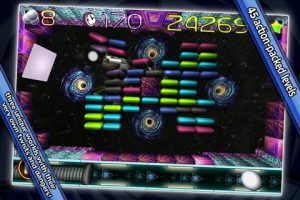 If you’ve been looking for a compelling time waster that feels like a pop culture time machine, you could do a lot worse than the tricky action offered by Action Block Buster. So, how does this game distinguish itself from all of the many, many Breakout clones already on the market? 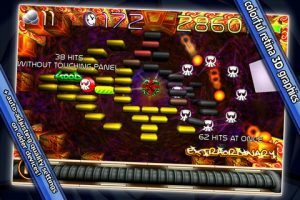 There’s the slick graphics, to be sure, but there’s also solid in-game physics, as well as a cool control system: a 360° panel touch-motion sensor you use to rotate your paddle around the screen and bounce the ball around. Unfortunately, as useful as this system for controlling the game may be, it poses some ergonomic challenges. You can either tap or drag to get the paddle into the right spot…but dragging is hard to judge, and tapping often means blocking your view with your own fingertip. It’s not ideal, but it does enhance the gameplay to have that full range of motion. 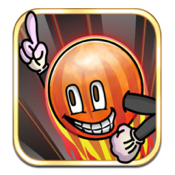 Action Block Buster features 3 worlds, 45 levels, fancy-pants power-ups, global high scores to keep you feeling competitive, and a self-adjusting quality setting that makes the game look great, even on older devices. And perhaps the very best thing of all: hidden cheat codes. For a game that harkens back to the golden age of video games, having cheat codes makes perfect sense. 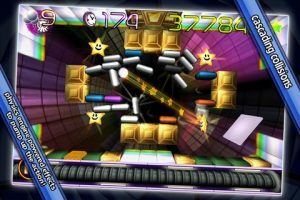 Despite some control complexities, Action Block Buster is a highly enjoyable little game. 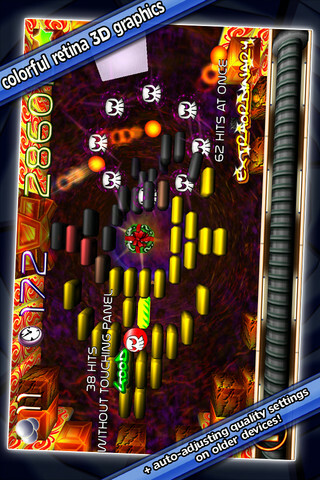 Blending the best of modern mobile gaming and classic arcade titles, this blockbuster of a game is a can’t-miss. 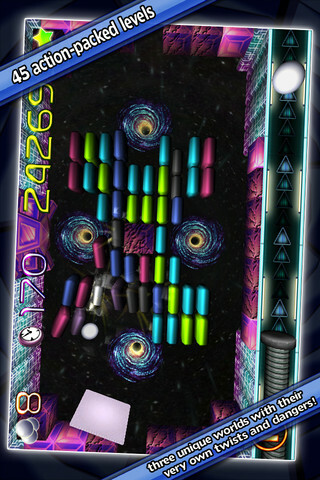 Action Block Buster is compatible with iPhone, iPod touch, and iPad. Requires iOS 3.0 or later. A small expedite fee was paid to speed up the publication of this review.